This is just an exercise in capturing lines and composition. 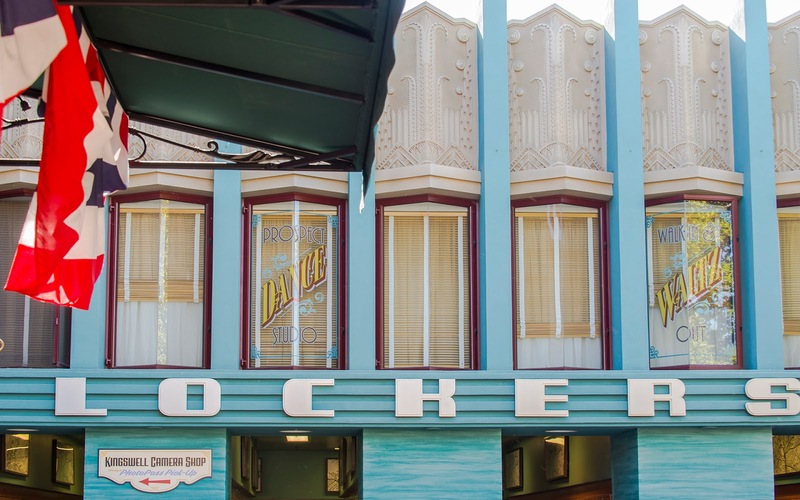 The Art Deco tribute of Buena Vista Street creates some cool facade geometry in a lot of places, even as utilitarian as a locker area. There's not much else to say for this... just liked how the lines and building texture created a cool pattern across this little part of Disney California Adventure's entry area. Art Deco verticality permeates the facade above the Buena Vista Street lockers.